Are you sick, convalescent, disabled, handicapped or infirm? 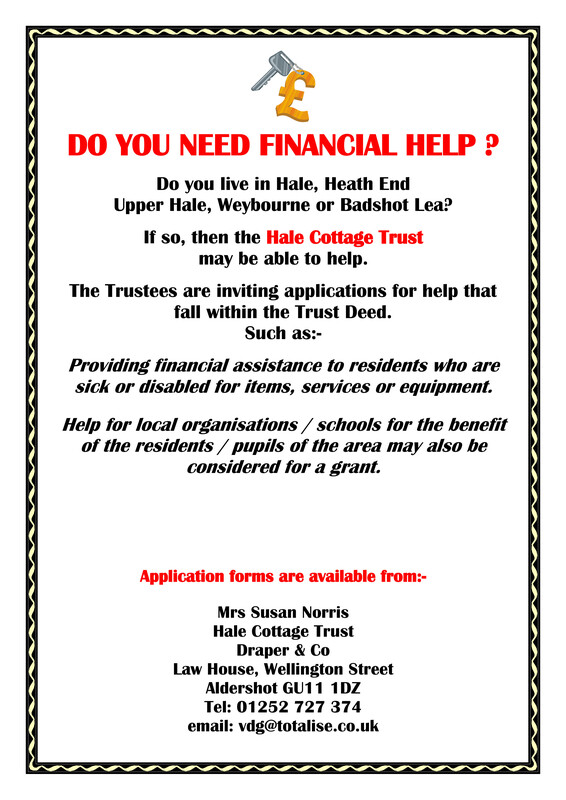 The Hale Cottage Trust is able to assist residents of the Parish of Badshot Lea and Hale who find difficulty in paying for medical prescriptions, fuel and necessities. If you are an organisation the application form is here. If you are a resident the application form is here.